The best CPAP mask option is one that provides a good air seal, fits comfortably, and allows the user to get a good night's sleep. In the treatment of sleep apnea, having the right mask optimizes the delivery of continuous positive airway pressure by a CPAP machine and decreases the chance of discontinuing treatment. Your sleep or respiratory specialist and CPAP supplier will help you select your best CPAP mask for size, fit, comfort, and personal preference. How well you adapt to CPAP therapy starts with the mask. You will need to try on different types and sizes to find the best one you can sleep with. There are many CPAP mask options available from several manufacturers of CPAP supplies and equipment. According to the Mayo Clinic, you can choose from three basic types: full face masks, nasal masks, or nasal pillows. A full face mask covers your nose and mouth, and some styles extend to cover more of your face. This type of mask decreases the risk of loss of air pressure through your mouth, especially if you sleep with your mouth open, or you are a mouth breather. It is a good option for those with nasal blockage, according to the Mayo Clinic, but not a good one if you are claustrophobic or bothered by bulk on your face. Fisher and Paykel Simplus Full Face CPAP Mask - The CPAP Shop rates this Fisher and Paykel mask as "one of the best and most functional full face mask" on the market. The company's RollFit seal automatically rolls and adjusts the mask to a user's nose bridge to create a comfortable fit, diffuses noise, and diminishes the chance of air leaks. The frame of the mask is light and low-profile to accommodate a clear line of vision to read or watch TV. The headgear is breathable, stable, and adapts to a person's head. The mask has a regular list price of about $135 from the CPAP Shop, and reviewers give it good ratings for being comfortable and the best CPAP mask. Respironics ComfortGel Blue CPAP Full Face Mask - This full face Respironics mask is rated 4.5 out of 5 stars by buyers from the Respshop supplier. The Respironics blue gel cushion design reduces pressure on the face and diminishes the chance of air leaks. Well-placed vents direct air away from the mask, instead of towards your face, to reduce noise when you breathe out. The comfortable adjustable forehead pad reduces or eliminates pressure on your skin. Respshop lists this mask for about $150. Respironics Amara View Full Face CPAP Mask is a lightweight, small-sized mask, so it puts less pressure on your nose and face. According to Direct Home Medical, this is the smallest full face mask on the market. The small cushion design of the mask covers your mouth while a hole at the top of the cushion delivers air through your nose. The adjustable headgear is without a forehead band or bar, which eliminates pressure points, makes it easier to wear glasses, and leaves a wide field of view to watch TV or read. Reviewers on Direct Home Medical give the Amara high ratings for its small size, good fit and comfort, no air leaks, and a quiet sleep. The mask retails for about $170 on the website. 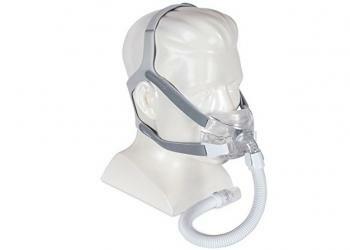 ResMed Mirage Quattro Full Face Mask is highly rated by reviewers on the CPAP Shop. The ResMed Mirage Quattro gets high marks for being "one of the best full face masks" for its proper fit, good seal, comfort, and quality. The soft, dual wall cushion of the face piece fits the contours of the face. The MicroFit dial of the headgear allows for proper fitting to reduce pressure on the forehead. CPAP shop lists the mask for about $175 and rates it as their most popular full face mask. The triangle-shaped nasal CPAP mask fits over your nose and ends just above your upper lip. This mask benefits people who are claustrophobic, can't adapt or sleep with bulky gear on their face, have a restless sleep, or need high CPAP air pressure settings. Respironics ComfortGel Blue Nasal CPAP Mask - This mask, which comes with adjustable headgear, is rated 4.2 out of 5 stars by over 400 consumers on the supplier cpap.com's website, where it is listed for about $110. 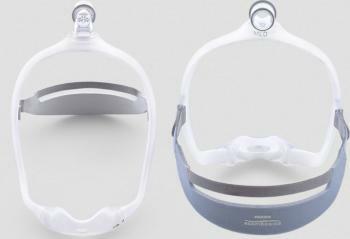 The well-known manufacturer, Philips Respironics, improved its original mask for softer comfort and fit. This is from the design of its blue ComfortGel cushion around the mask and in the silicone forehead pads. The mask comes with a separate snap-on silicone membrane for the cushion, which improves the fit and extends the life of the mask. For a quieter sleep, improvement in the outflow ports of the mask decreases noise as you breathe out. Respironics Comfortgel Original Nasal CPAP Mask - Over 2,000 consumers on cpap.com give this Respironics mask a high rating of 4.4 out of 5 stars. The ComfortGel can be adjusted around the nose for comfort and better seal. The larger forehead pad decreases pressure points. The quiet outflow air vents design reduces noise disturbance as you exhale. This mask also comes with the separate snap-on silicone membrane to prolong the use of the mask. For a better fit, the gel cushion of the mask can be boiled and molded to the contours of your face. The 360-degree swivel on the tubing connection gives additional freedom of movement. The mask sells for about $110. ResMed Ultra Mirage II Nasal Mask - According to the maker, ResMed, this mask combines "comfort, convenience, quietness and effectiveness." It has a double layer cushion that provides good support and a better seal without putting too much pressure on the bridge of the nose. Flexible pads conform to the shape of your forehead to help the apparatus stay in place. Quick release clips on the headgear make it easy to remove and replace the mask during the night. Air vents in the mask reduce the level of noise from the system. The mask sells for about $100 and is rated 4.5 out of 5 stars by over 600 reviewers on cpap.com. 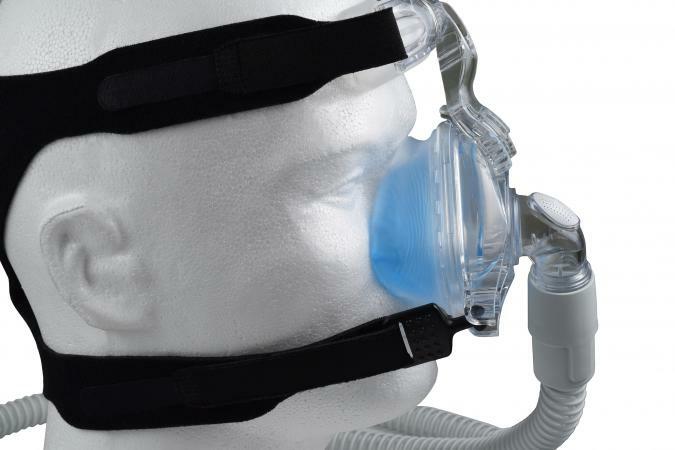 ResMed Mirage Activa Lt Nasal Mask - This lightweight mask is a top-rated product by the CPAP Shop, where it is listed for about $125 for the regular price. Customers rate the mask highly for fit, comfort, quality, good seal, and value. You use the mask's MicroFit dial to custom fit the dual-wall cushion to your face to provide a good seal and improve comfort. The ActiveCell technology automatically adjusts the headgear tension, which reduces the chance of facial marks. These two brand features make the mask easier to fit and adaptable to facial features. The quiet air diffusion makes for a less disturbed sleep. Nasal pillows are small, padded, or pillowed "masks" for the nasal openings only, as it sits in and seals the entrance to each nostril. This low-profile mask is a good choice if you don't like any covering on your face, you sleep on your side or stomach, or you have facial hair, wear glasses, or want to watch TV or read. Respironics DreamWear Nasal CPAP Mask - Reviewers on Direct Home Medical Suppliers rate this CPAP pillow mask 5 out of 5 stars for being the "best CPAP mask ever," and for its total comfort, lightweight, smart design, and effectiveness. The soft cushion of the pillows contours to the nose and creates a good seal without putting uncomfortable pressure in and under the nostrils or on the nose bridge. This mask adapts to different sleeping positions, and the exhalation venting makes for a quiet sleep. 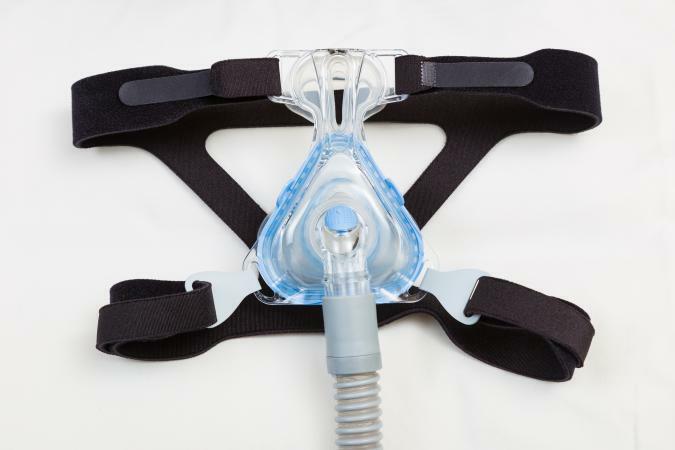 Users like the placement of the tubing elbow that attaches the mask to the CPAP machine tubing on top of the head instead of below the mask. This reduces bed clutter from the tubing during sleep. The mask sells for about $110. Breeze SleepGear Nasal Pillows CPAP Mask System - A major difference with this mask is that there are no straps across the cheeks; instead the single headband stabilizes the system. In addition, the hose connection from the mask is designed to run the hose over your head instead of in the front over your chest and body. This mask is given four out of five star rating by 244 out of 294 reviews on cpap.com for its comfort, the design of the headpiece, and the minimal gear across the face. The product is listed for around $90. ResMed Swift FX Nasal Pillows CPAP Mask - This nasal pillow mask is rated four out of five stars by reviewers on Direct Home Medical for its comfort and lightweight design. The supplier's list price is about $100. The soft pillows of the mask fit securely in the nostrils to form a good seal to eliminates air leaks. The adjustable, lightweight, flexible silicone headgear straps are fleece-wrapped to enhance comfort. The design of the air venting system reduces the noise from the mask. The elbow joint that connects the mask to the CPAP tubing rotates 360 degrees to facilitate sleeping positions. The gear comes with three pillow sizes--small, medium, and large--in a pack so you can settle on the best fit. ResMed Airfit P10 Nasal Pillow CPAP Mask - The CPAP Shop rates this as "one of the most successful pillow masks" and the most advanced by ResMed. Reviewers give the mask great ratings for its comfortable fit, lightweight design, and quietness. The dual wall pillows provide a good seal to the nostrils, and the thin, light headgear is easy to fit. The mask is lighter and quieter than the ResMed Swift FX Nasal Pillows. The usual price at the CPAP Shop is about $120. One of the keys to a successful CPAP mask fitting is to find the right size that reduces the chance of air leaking around the mask. Manufacturers make masks in various sizes to fit the size and contour of a person's nose and face. Many masks come in a choice of two sizes: small to medium or medium to large. Some companies make a larger range of sizes, from petite, small, and medium, to large and extra large. It's best to fit your mask in person with the help of your healthcare specialist and device supplier. Once you settle on a mask, give yourself a few days to try to adapt to it before deciding to make a change in the type or size. Note that if you are getting air leakage with your first choice of mask, before you invest in a new one, try tightening the headgear to see if you get a better seal. In addition, keep in mind that a change in your weight can affect the way a mask fits. It is important you are fitted with the best CPAP mask option if your doctor prescribes CPAP therapy for sleep apnea. A good fit will ensure you get the air supply as prescribed, have a restful sleep, and the health benefits of CPAP, including reducing your risk for dying in your sleep from insufficient oxygen intake.